This deluxe smoking room features a comfortable King sized bed and plenty of pillows for a pleasant stay. 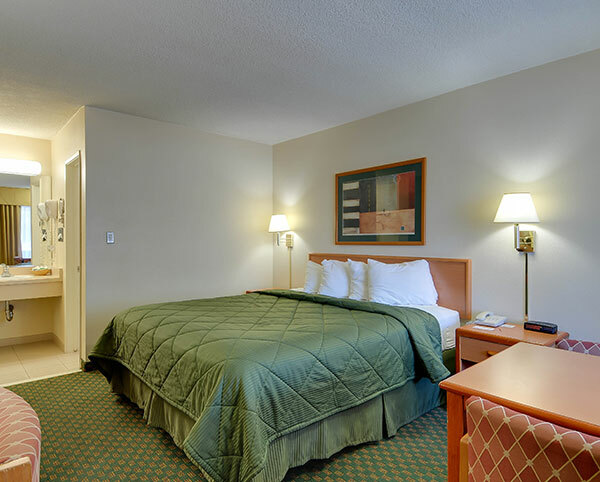 The spacious room also includes a 40" LCD TV with cable programming and complimentary Wi-Fi internet access to stay connected at all times. Other in-room amenities include a mini refrigerator, microwave, hair dryer, telephone and coffee maker. This deluxe smoking room features two comfortable Queen sized beds and plenty of pillows for a pleasant stay. 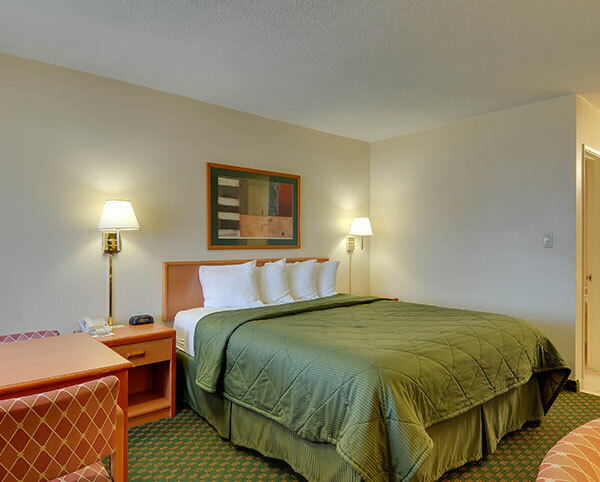 The spacious room also includes a 40" LCD TV with cable programming and complimentary Wi-Fi internet access to stay connected at all times. Other in-room amenities include a mini refrigerator, microwave, hair dryer, telephone and coffee maker. 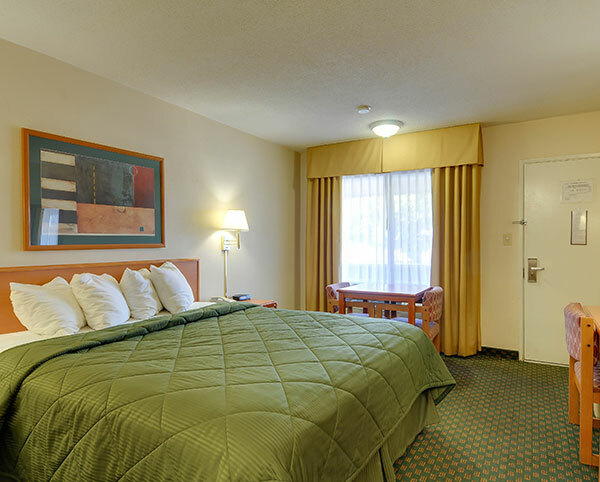 This deluxe smoking non-room features two comfortable Queen sized beds and plenty of pillows for a pleasant stay. 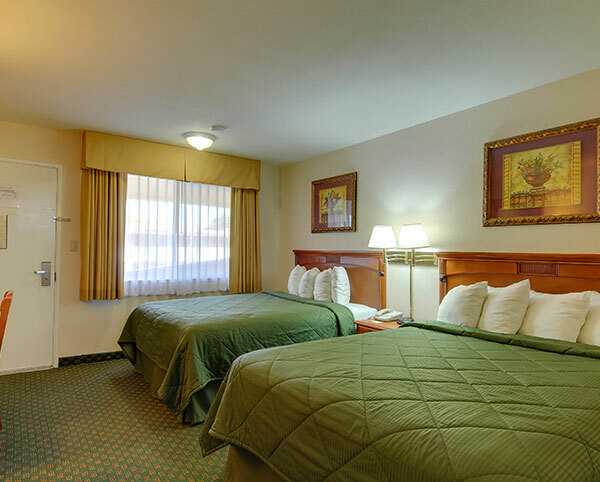 The spacious room also includes a 40" LCD TV with cable programming and complimentary Wi-Fi internet access to stay connected at all times. Other in-room amenities include a mini refrigerator, microwave, hair dryer, telephone and coffee maker. This deluxe smoking non-room features a comfortable King sized bed and plenty of pillows for a pleasant stay. 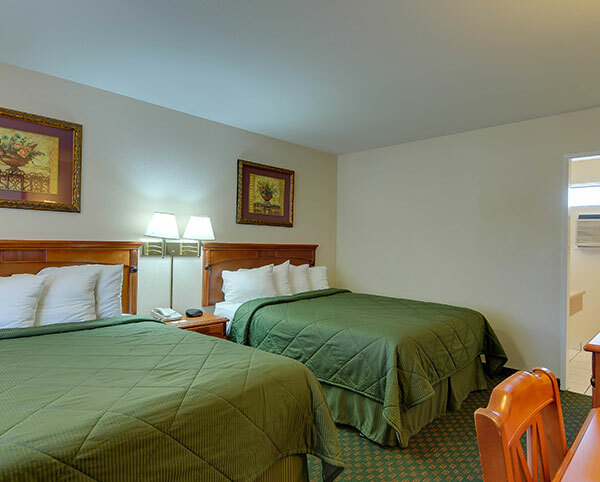 The spacious room also includes a 40" LCD TV with cable programming and complimentary Wi-Fi internet access to stay connected at all times. Other in-room amenities include a mini refrigerator, microwave, hair dryer, telephone and coffee maker. This non-smoking room features a comfortable queen-sized bed with a tub and grab bars. Room is located on the ground floor.